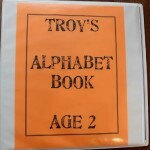 Alphabet Boxes are a great way to introduce letters of the alphabet to your child. Here’s an example of an alphabet box of the letter ‘A’. 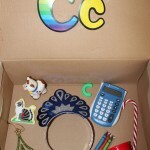 To introduce an alphabet box, all you do is find items around the house that start with that letter and put it in a box. 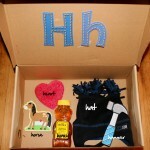 Then have the child explore the box while pointing out that each item starts with the same letter. Also, make sure to share the sound of that letter. 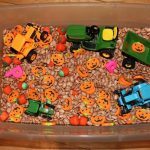 Sensory Tubs are great for the little ones. It helps them explore the world using their sense of touch. 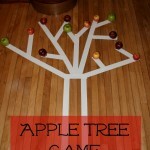 I love to let my little ones play on their own without much direction to use their imagination. My 2 year old chose to bury everything and then wanted to dig it back up. My 1 year old just like the feel of it. This can get messy, so I recommend playing with this outside or under a blanket.